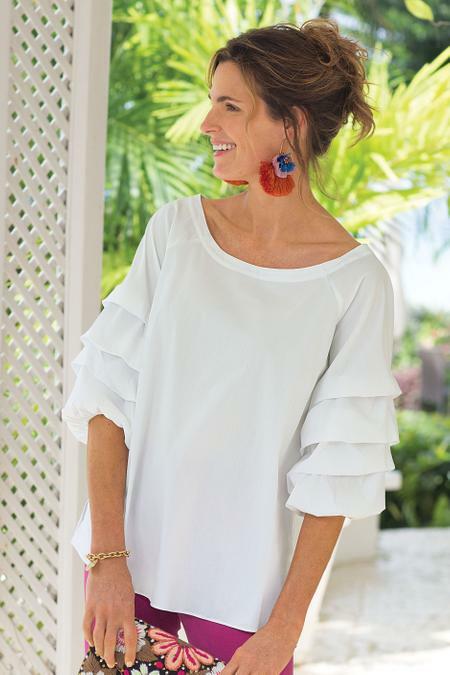 The crisp white shirt just got a marvelous makeover. Styled of woven stretch poplin, this pullover achieves that elevated fashionista look via ruffled sleeves made with unique tucks and stitching. A generous bateau neckline, side slits and 3⁄4 raglan sleeves with elastic cuffs. Cotton/polyamide/spandex. Misses 26" long.